No two bedrooms are alike at Banyers House. Each of our air conditioned guest rooms blends the character of antique beams, exposed brickwork wood panelling, and wallpapers created by British designers, with the modem luxury and comfort you’d expect from an Oakman Inn. 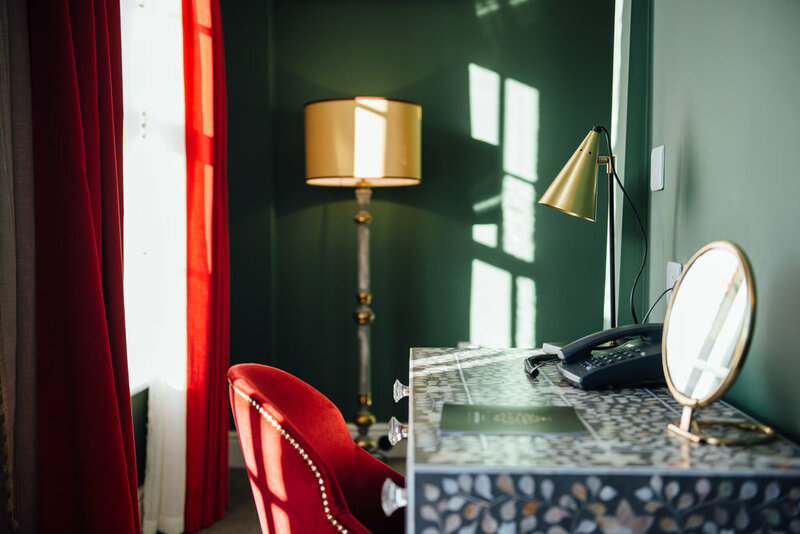 In addition to the usual amenities of a kettle with a selection of tea bags, a hairdryer and smart HD TV, all nine rooms exceed expectations by offering GHD straighteners, a Roberts Radio, a Nespresso machine with coffee pods, and free superfast Wifi. Finished to a superb standard, each en-suite bathroom contains a power shower and range of toiletries, whilst a bathrobe adds a further welcoming touch. An iron and ironing board, and tempting room service menu complete the package.